09/06/2012 17:26:44.000 kernel: en1: 802.11d country code set to 'AR'. This is fine when the first one it hears is correct (as it is above). But if the first one it hears is incorrect, then it will incorrectly restrict you to the channels available in *that* country. And often that restriction means you cannot connect to *your* access point, especially if you are using 5GHz channels (i.e. channel 34 or higher). For example, two country codes I often get are CN (i.e. China – permitting only channels 149 to 165 in the 5GHz band), and CZ (i.e. 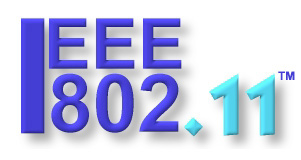 Czech Republic – permitting only channels 36 to 140 in the 5GHz band). There is no overlap between these two countries (at least in the uncongested 5GHz band) – so whatever channel you chose, sometimes you won’t be able to connect to it. And apparently there is no way to disable wifi regulatory compliance in OS X. (example above is for the 2-radio e4200, hence the repeated commands for eth1 and eth2). But anyway, this doesn’t work. 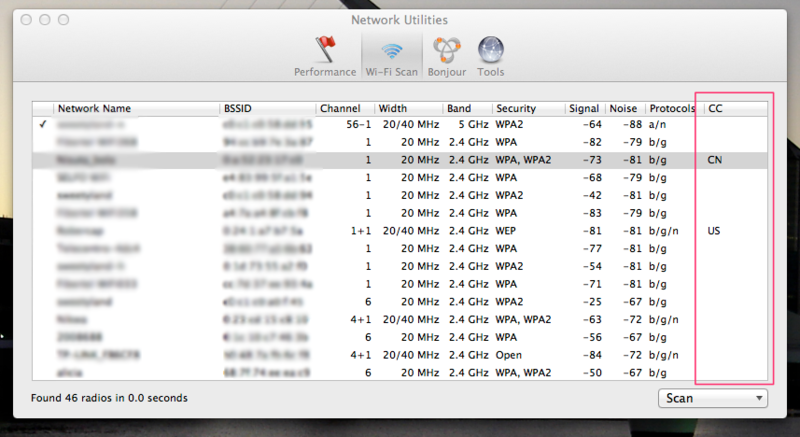 The lines above give errors, and 802.11d simply isn’t enabled. and then restart the router, then you *can* get 802.11d broadcasts enabled, but they are for the country AL (i.e. Albania), helpfully noticed by dd-wrt forum poster Shii here to be the first entry in the allCountries array in country.c. Unfortunately changing the highly tempting wl#_country and wl#_country_code values (both by default set to “EU”) to something else seems to make no difference, you still get “AL” in the 802.11d broadcasts. And unfortunately Albania has extremely restrictive wifi rules, which forbid the use of 5GHz channels altogether (or at least that’s what linux thinks, and I assume that it’s correct). And there I am stuck. I would switch my routers (the above-mention E4200, an E3000, and a WRT610N v2) to OpenWRT or some equivalent, but support for them appears to be very poor at present. Update (Jan 2013): Ok, I don’t have a fix for this yet, but I’ve just discovered a useful way to identify which AP is sending the incorrect 802.11d broadcasts (at least on OSX). 1. While holding down the option/ALT key on your keyboard, click the Wifi icon on the menu bar. 3. This will open the Diagnostics tool: go to the “File” menu and click “Network Utilities” (or just type Command+N). The last column “CC” (country code) clearly identifies the culprit. This entry was posted on June 9, 2012, 7:27 pm and is filed under Argentina, Linux, Networking. You can follow any responses to this entry through RSS 2.0. You can leave a response, or trackback from your own site. Helpful info! Too bad you didn’t solve it but good background info on this pitty matter. It’s a shame channels aren’t standardized, i’m having trouble getting my Airport Express which I brought from Asia to work in Europe. It’s MY hardware and I want it to work! I have solved such issue by setting up correct 802.11d country code in my router and shorten Beacon Interval from 100 ms to 50 to guarantee that my router will be first who announce country code.